A prisoner of conscience, Mr. Ren Dongsheng, endured having his hands burned with a lighter, his face slapped, and his toes stomped on until his toenails fell off. He was forced to eat food dumped on the ground, and, while handcuffed and shackled, meals were intentionally placed out of his reach. When his five-year prison term expired, he was sent straight to a brainwashing centre, where he was tricked into taking an unknown white powder. By the time he was released a week later, his family noted he was no longer the same person as they remembered. His mother, who was in her 80s, was so traumatized to see an insane son after five long years that she collapsed. Mr. Ren's ordeal began on March 8, 2006, when he was arrested for refusing to renounce Falun Gong, a spiritual discipline being persecuted by the Chinese communist regime. He was sentenced to five years and suffered unimaginable torture at Gangbei Prison in Tianjin City. Mr. Ren's wife, Ms. Zhang Liqin, also practices Falun Gong. She was fired from her job one month after her husband’s arrest. She herself was arrested on February 12, 2009, and sentenced to seven years in prison. When she was released on February 11, 2016, what greeted her at home was a psychotic husband and smashed furniture and windows. Ms. Zhang filed a complaint in October 2016 against the eight guards who were primarily responsible for her husband's torture and resultant mental disorder. She was subsequently detained for 35 days and had to live away from home for a period of time in order to avoid harassment by authorities. Nonetheless, she continued her efforts to seek justice and compensation for her husband. She accepted questioning by Tianjin City Superior Court on September 4, 2018, and detailed how her husband was tortured in prison. While awaiting a decision by the superior court, Ms. Zhang was heartbroken to lose her husband eight days later. Mr. Ren died at 2 a.m. on September 12, 2018, two weeks before the Mid-Autumn Festival, one of the most important holidays in China. Mr. Ren grew up in Jinghai District, a place well known for its vinegar production. He was good at cooking, and people liked his dishes. Together with his wife, he opened a successful restaurant. Mr. Ren was diagnosed with rheumatoid arthritis at age 25. With both knees and ankles severely swollen, he could not handle intensive labour. To make it worse, rheumatic heart disease hit him at age 36, often leaving him vomiting blood. He lost the ability to work and had to stay at home. He tried everything from Chinese medicine to Western medicine, but nothing worked. The burden of taking care of him fell on his wife, Ms. Zhang, who had to support the whole family, look after her husband and son, and do household chores. She developed leukaemia, neck problems, and heart disease. She had to carry medicine with her at all times and needed a break after walking even several yards. Frustrated and disappointed, the couple bet all their hope on their son, Jianfeng, a middle school student and one of the top students in his class. Unfortunately, these sudden life changes also affected Jianfeng. He spoke less, became tired of studying, and later decided to quit school. Mr. Ren said to his wife one day in despair, “I am thinking of buying a packet of poison for all three of us, because any one of us left behind would face endless suffering.” With those words, the family of three hugged and wept. Mr. Ren and his wife resumed their practice of Falun Gong in 2003 (they had practised it earlier but stopped out of fear after the persecution started in 1999). Their health recovered, and their illnesses disappeared. Jianfeng was a happy boy again. He was no longer withdrawn and received better grades in school. Following the principles of Truthfulness-Compassion-Forbearance, Mr. Ren and his wife always strove to be good citizens and better people. When their house was being remodelled, their contractor failed to follow the conditions they had agreed upon. He not only lied to the couple but also sued them. The feud continued until after the couple began to practice Falun Gong. Mr. Ren went to the contractor and offered reconciliation at his own loss. Moved by his sincerity, the contractor thanked him and praised him in front of others. The family's happiness did not last long. Mr. Ren was arrested on March 8, 2006, after being reported for telling people his positive experiences with Falun Gong. Six months later, he was sentenced to five years in Gangbei Prison (later known as Binhai Prison). Because he refused to give up his belief, the prison guards tortured Mr. Ren with various means. 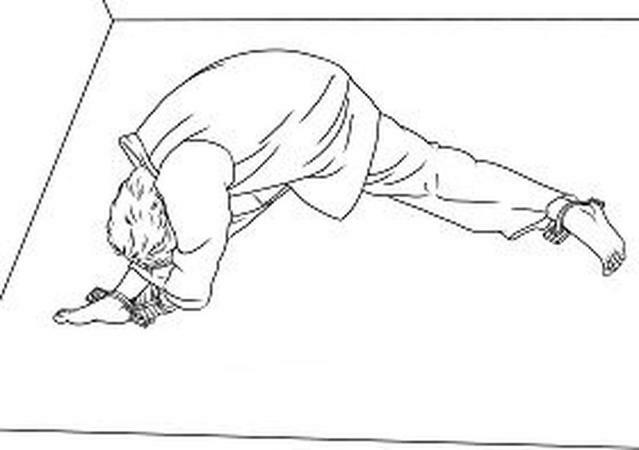 He was restrained with floor anchors six times in total; his feet were spread apart and shackled to floor anchors, while his body was bent over with his wrists cuffed to one ankle. Every time after he was released from the anchors, he was unable to stand up, and it would take a long time for him to return to normal. Mr. Ren was also repeatedly beaten and had his fingers burned. He was forced to eat food dumped on the ground. He also recalled being given unknown drugs. Some of the above descriptions were told to his family when Mr. Ren was occasionally clear-minded after he was released from prison. Other accounts of persecution against him were provided by other practitioners who had been imprisoned together with him and later released. After Mr. Ren's arrest, his wife, Ms. Zhang, was also affected. Her employer, a highway toll collection company, terminated her employment. Their son, Jianfeng, who had already been admitted to a college, had to quit school due to financial difficulties. He and his mother worked temporary jobs to make a living. Ms. Zhang was not allowed to visit her husband at the local detention centre because she was also a Falun Gong practitioner. By law, any family member can visit inmates. Ms. Zhang was arrested on October 22, 2009, and sentenced to 7 years in Tianjin Women's Prison. She was once forced to stand for 8 days straight, causing her blood pressure to shoot up to dangerously high levels. Her limbs also became swollen. At least seven inmates were assigned to watch her every day. Later she was forced to sit still on a “small stool” for long periods of time, causing aches all over her body. With both parents imprisoned, Jianfeng was left on his own. He worked hard but had almost no money left after putting money in his parents' commissary accounts. On freezing winter days, Jianfeng had to endure biting cold and frozen pipes. Without water, he couldn't even cook. “My tears kept rolling down, and later I fell asleep as I cried. And I no longer felt hungry...” recalled Jianfeng. To save money, he primarily ate instant noodles. At work, he chose the night shift because the factory was climate-controlled and made it easier to go through long, cold nights. Jianfeng had to endure people's ridicule as well. Some people laughed at him or discriminated against him because of his parents' imprisonment. In July 2010, about 8 months prior to Mr. Ren's release, his family was denied visits with him at the prison. Upon repeated requests from his mother, officials showed a video of Mr. Ren, in which he was agitated and behaved abnormally. Mr. Ren was set to be released on March 7, 2011. His mother, already in her 80s, and his son Jianfeng didn't get to see him on that day though. Seven days later, they were told to pick him up at a brainwashing centre. Jianfeng was shocked to see that his father was no longer the strong, loving man he remembered. Mr. Ren kept mumbling and exhibited strange behaviours. His mother was so heartbroken that she cried and collapsed. Mr. Ren remained in a psychotic state most of the time after he returned home. He refused to have his hair cut and smashed everything in his sight. He ran out screaming on rainy days. Occasionally, he left home in the middle of the night and returned days later covered in dirt. Whenever someone mentioned the police, Mr. Ren would murmur that he had to run or the police would catch him. He would dash outside and later sleep by the roadside. Sometimes he would suddenly wake up in the middle of the night, screaming, “I am not afraid of you.” He often mistreated his mother and beat his son. One time, he drove his mother outside of the house on New Year's Eve, leaving the elderly woman standing alone on the street. Another time, he beat his son, who went to hug his grandmother and cried. Despite Mr. Ren's mental condition, personnel from Jinghai District police and 610 Office often went to harass him. 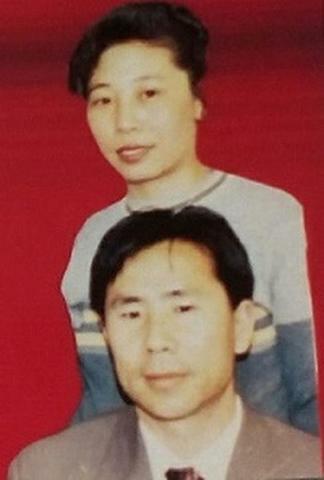 Four days after the 2016 Chinese New Year, Ms. Zhang was released after 7 years of imprisonment. Upon arriving home, she saw shattered glass, broken furniture, a leaking roof, and most heartbreaking — a mentally-disoriented husband. Ms. Zhang repaired the door, windows, and furniture, only to see them smashed by her husband again. Sometimes, her husband chased her and their son with a stick or a cooking knife in hand. She decided to find out what happened to her husband in prison that resulted in his insanity. Through multiple sources, she found that eight guards in Binhai Prison were primarily responsible for her husband's torture. When an inspection team from the central government visited Tianjin in October 2016, she filed a preliminary complaint against the guards, which led to her detention of 35 days. In April 2017, Ms. Zhang obtained an examination result from the Zhengzhou Mental Hospital of her husband's condition, which she planned to use in her lawsuit against the perpetrators. To stop her, police from Jinghai District, the local police station, and the justice department kept harassing her at her home. This aggravated her husband's mental disorder. She had to live away from home for a period of time. On June 22, 2017, she formally submitted a criminal complaint to multiple government agencies, including the Supreme People’s Procuratorate, and local procuratorial offices. In addition, she submitted documents to Binhai Prison to request monetary compensation. Most agencies ignored her, while others rejected her case. While fighting for her husband's justice, she had to endure his insanity. He sometimes kicked her out in the middle of the night, leaving her nowhere to go. Traumatized by their son-in-law's plight, her father was hospitalized five times and her mother twice. Ms. Zhang sometimes had to skip meals in order to save money to travel to different places to seek justice for her husband. When it rained, she made sure to wrap the lawsuit documents in plastic bags and held them close to her heart. On May 9, 2018, Tianjin First Intermediate Court approved Ms. Zhang's request to file her case. She explained to Tianjin City Superior Court on September 4 why she was seeking compensation. Recalling what had happened to her husband and her family brought her to tears.